exitmail, founded in Madrid in 2006, is an international information platform and archive for the dissemination of exhibitions, competition calls, educational projects and a wide range of artistic activities. 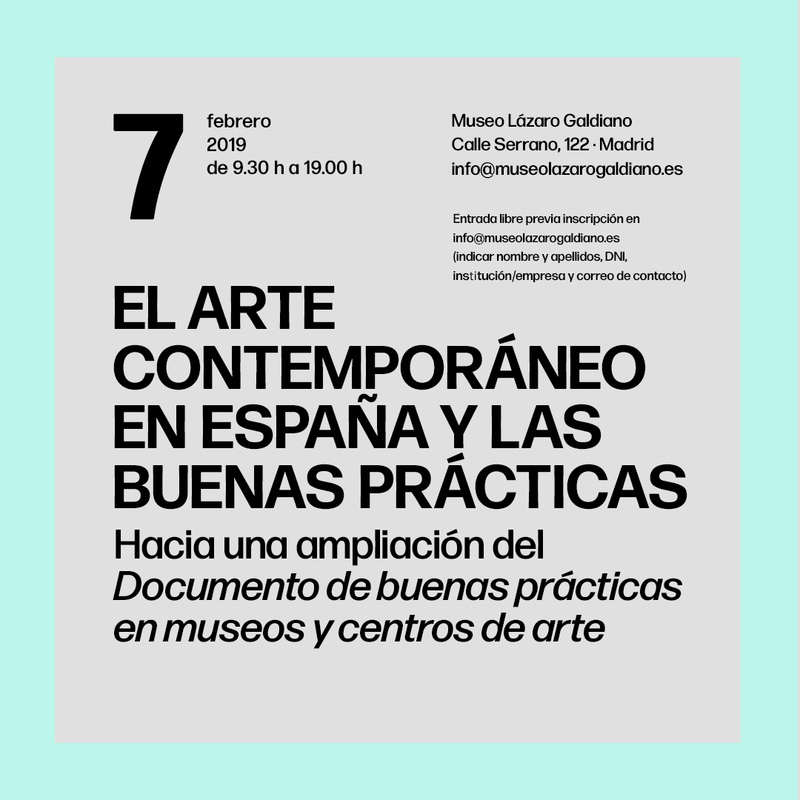 The news, educational activities, publications and projects sent out through exitmail offer a critical reflection on art, culture and international theory, with a special focus on Spanish speaking countries. exitmail is sent to our subscribers and readers free of charge, with the costs of delivery assumed by the museums and artistic institutions advertising the activities. All of the information sent out is subsequently archived, allowing it to be accessed and consulted by researchers and scholars. Emailed in real time, the news which is continually updated and ever growing, reaches more than 75,000 professionals from the art world. exitmail is a direct and reliable way to reach the target audience, with 100% effectiveness and without issues of delays or missed deliveries. Art critics, curators, artists, writers, university professors, scholars, directors of museums and art centres, galleries, collectors, students of fine art and history of art, experts and enthusiasts from around the world are the end users of exitmail. Our database includes email addresses from more than ninety two countries. exitmail offers the most effective, economic and rapid way of reaching these groups. exitmail is a paid information service comprising images and written information, posted directly to our mailing list of visual arts professionals from around the world. Each exitmail posting includes a web link to the client. Museums, cultural centres, cultural institutions, biennials, competitions, art fairs, curators, art galleries, communication agencies, artists and freelance cultural event organizers. Contact us to get information about our fees, prices and schedules.